If we were to venture a guess, we would bet that losing weight is one of the most popular New Year’s resolutions. In fact, according to several surveys, losing weight tops the list of New Year’s resolutions. Looks like we won that bet. With the Centers for Disease Control and Prevention (CDC) reporting that nearly 70 percent of Americans are overweight, it is not a big surprise that losing weight and fitness top the list of resolutions year after year. In fact, you may have made it a goal to lose weight this year. The bad news is that only about eight percent of people who make resolutions are able to succeed at them to their satisfaction. Perhaps you would like to be part of that eight percent. The good news is that men and women who make resolutions are ten times more likely to achieve their goals than those who don’t make any resolutions. Here is another fun fact; over 70 percent of those who make resolutions are able to keep them for at least a week. It may not sound like a huge success, but at least it’s a start. Joining a fitness club in New Orleans is a smart move and a good start to success. Here are a few more steps you can take to help succeed. Don’t just resolve to lose weight this year. It is much more effective if to set goals that are well-defined such as losing 20 pounds or one pound a week for two months. If you don’t want to throw numbers out there, resolve to lose enough weight that you can fit back into your favorite pair of skinny jeans. The same holds true if you have made some fitness goals. Instead of resolving to get fit, make it a goal that you want to do 50 push-ups or bench press a certain weight. The same holds true if you resolve to eat healthily. Be specific about how you plan on achieving that goal. For example; set a goal to eat three servings of vegetables a day. You want to make your goals challenging, yet achievable. Share your resolutions with family members and friends so they can understand your intention and what you hope to achieve. They will stand with you and be a great source of support. You will also want to share your resolutions on social networks. Letting your Facebook friends know your resolutions is helpful because they will help you to stay accountable. Post any goals you have achieved as your friends will comment of them, praising your good efforts. In fact, some of your friends might provide some inspiration. 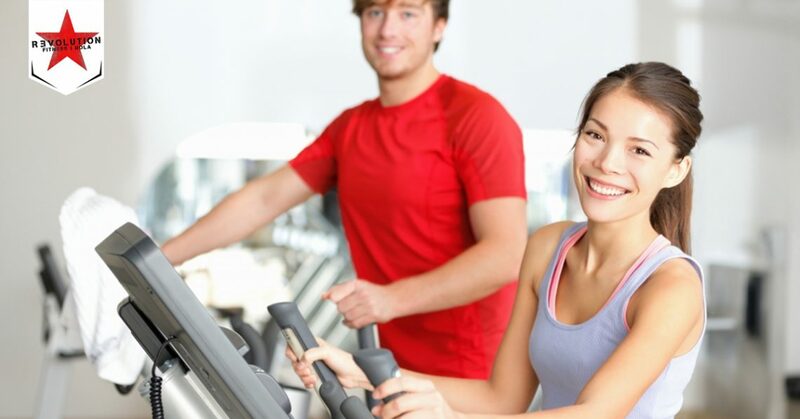 Having a workout buddy can increase the chances you will stick with your resolution. When mid-January or February hits and you are feeling less thrilled about your goals, an exercise buddy can pick you up and make workouts fun again. If you cannot find like-minded people in your community, join an online fitness community for help and support. This is a very important step. If you wish to lose weight, it is critical that you remove all the tempting foods from your kitchen. This means toss that bag of cookies, throw away the candy bars and put the rest of that chocolate pie down the garbage disposal. You also need to convince yourself you will stop buying this type of fattening food. The second step is to go to the store and buy plenty of the good foods you need to eat to lose weight and stay healthy. This means you need to stock your grocery cart with fresh vegetables, fresh fruits and skinless chicken breasts. So instead of potato chips and cookies, your cart will be filled with nuts, salmon and tofu. There is nothing wrong with rewarding yourself when you hit certain goals. For example, when you hit a certain weight loss number, celebrate by allowing yourself a mini shopping spree to buy clothes you can now fit in. Your reward doesn’t always have to be a shopping spree, it can be an experience like a weekend getaway or vacation. It could even be a trip to your favorite restaurant, as long as you watch what you eat.